4150501 D51EX-22 KOMATSU D51EX-22 Buldozer "D-51" series. Spare Parts Catalog. Service (workshop) Manual. Operator's Instruction Manual. 4150502 D51PX-22 KOMATSU D51PX-22 Buldozer "D-51" series. Spare Parts Catalog. Service (workshop) Manual. Operator's Instruction Manual. 4150504 D53A-16 KOMATSU D53A-16 Buldozer "D-53" series. Spare Parts Catalog. Service (workshop) Manual. Operator's Instruction Manual. 4150505 D53A-17 KOMATSU D53A-17 Buldozer "D-53" series. Spare Parts Catalog. Service (workshop) Manual. Operator's Instruction Manual. 4150506 D53A-18 KOMATSU D53A-18 Buldozer "D-53" series. Spare Parts Catalog. Service (workshop) Manual. Operator's Instruction Manual. 4150507 D53P-16 KOMATSU D53P-16 Buldozer "D-53" series. Spare Parts Catalog. Service (workshop) Manual. Operator's Instruction Manual. 4150508 D53P-17 KOMATSU D53P-17 Buldozer "D-53" series. Spare Parts Catalog. Service (workshop) Manual. Operator's Instruction Manual. 4150509 D53P-18 KOMATSU D53P-18 Buldozer "D-53" series. Spare Parts Catalog. Service (workshop) Manual. Operator's Instruction Manual. 4150511 D57A-17 KOMATSU D57A-17 Buldozer "D-57" series. Spare Parts Catalog. Service (workshop) Manual. Operator's Instruction Manual. 4150513 D58E-1 KOMATSU D58E-1 Buldozer "D-58" series. Spare Parts Catalog. Service (workshop) Manual. Operator's Instruction Manual. 4150514 D58E-1A KOMATSU D58E-1A Buldozer "D-58" series. Spare Parts Catalog. Service (workshop) Manual. Operator's Instruction Manual. 4150515 D58E-1B KOMATSU D58E-1B Buldozer "D-58" series. Spare Parts Catalog. Service (workshop) Manual. Operator's Instruction Manual. 4150516 D58P-1 KOMATSU D58P-1 Buldozer "D-58" series. Spare Parts Catalog. Service (workshop) Manual. Operator's Instruction Manual. 4150517 D58P-1B KOMATSU D58P-1B Buldozer "D-58" series. Spare Parts Catalog. Service (workshop) Manual. Operator's Instruction Manual. 4150519 D60A-6 KOMATSU D60A-6 Buldozer "D-60" series. Spare Parts Catalog. Service (workshop) Manual. Operator's Instruction Manual. 4150520 D60A-7 KOMATSU D60A-7 Buldozer "D-60" series. Spare Parts Catalog. Service (workshop) Manual. Operator's Instruction Manual. 4150521 D60A-8 KOMATSU D60A-8 Buldozer "D-60" series. Spare Parts Catalog. Service (workshop) Manual. Operator's Instruction Manual. 4150522 D60A-11 KOMATSU D60A-11 Buldozer "D-60" series. Spare Parts Catalog. Service (workshop) Manual. Operator's Instruction Manual. 4150523 D60E-6 KOMATSU D60E-6 Buldozer "D-60" series. Spare Parts Catalog. Service (workshop) Manual. Operator's Instruction Manual. 4150524 D60E-7 KOMATSU D60E-7 Buldozer "D-60" series. Spare Parts Catalog. Service (workshop) Manual. Operator's Instruction Manual. 4150525 D60E-8 KOMATSU D60E-8 Buldozer "D-60" series. Spare Parts Catalog. Service (workshop) Manual. Operator's Instruction Manual. 4150526 D60F-8 KOMATSU D60F-8 Buldozer "D-60" series. Spare Parts Catalog. Service (workshop) Manual. Operator's Instruction Manual. 4150527 D60F-8A KOMATSU D60F-8A Buldozer "D-60" series. Spare Parts Catalog. Service (workshop) Manual. Operator's Instruction Manual. 4150528 D60P-6 KOMATSU D60P-6 Buldozer "D-60" series. Spare Parts Catalog. Service (workshop) Manual. Operator's Instruction Manual. 4150529 D60P-7 KOMATSU D60P-7 Buldozer "D-60" series. Spare Parts Catalog. Service (workshop) Manual. Operator's Instruction Manual. 4150530 D60P-8 KOMATSU D60P-8 Buldozer "D-60" series. Spare Parts Catalog. Service (workshop) Manual. Operator's Instruction Manual. 4150531 D60P-11 KOMATSU D60P-11 Buldozer "D-60" series. Spare Parts Catalog. Service (workshop) Manual. Operator's Instruction Manual. 4150532 D60P-12 KOMATSU D60P-12 Buldozer "D-60" series. Spare Parts Catalog. Service (workshop) Manual. Operator's Instruction Manual. 4150533 D60PL-6 KOMATSU D60PL-6 Buldozer "D-60" series. Spare Parts Catalog. Service (workshop) Manual. Operator's Instruction Manual. 4150534 D60PL-7 KOMATSU D60PL-7 Buldozer "D-60" series. Spare Parts Catalog. Service (workshop) Manual. Operator's Instruction Manual. 4150535 D60PL-8 KOMATSU D60PL-8 Buldozer "D-60" series. Spare Parts Catalog. Service (workshop) Manual. Operator's Instruction Manual. 4150537 D61E-12 KOMATSU D61E-12 Buldozer "D-61" series. Spare Parts Catalog. Service (workshop) Manual. Operator's Instruction Manual. 4150538 D61EX-12 KOMATSU D61EX-12 Buldozer "D-61" series. Spare Parts Catalog. Service (workshop) Manual. Operator's Instruction Manual. 4150539 D61EX-12A-W KOMATSU D61EX-12A-W Buldozer "D-61" series. Spare Parts Catalog. Service (workshop) Manual. Operator's Instruction Manual. 4150540 D61EX-15 KOMATSU D61EX-15 Buldozer "D-61" series. Spare Parts Catalog. Service (workshop) Manual. Operator's Instruction Manual. 4150541 D61EX-15E0 KOMATSU D61EX-15E0 Buldozer "D-61" series. Spare Parts Catalog. Service (workshop) Manual. Operator's Instruction Manual. 4150542 D61EX-23 KOMATSU D61EX-23 Buldozer "D-61" series. Spare Parts Catalog. Service (workshop) Manual. Operator's Instruction Manual. 4150543 D61P-12 KOMATSU D61P-12 Buldozer "D-61" series. Spare Parts Catalog. Service (workshop) Manual. Operator's Instruction Manual. 4150544 D61PX-12 KOMATSU D61PX-12 Buldozer "D-61" series. Spare Parts Catalog. Service (workshop) Manual. Operator's Instruction Manual. 4150545 D61PX-12A-W KOMATSU D61PX-12A-W Buldozer "D-61" series. Spare Parts Catalog. Service (workshop) Manual. Operator's Instruction Manual. 4150546 D61PX-15 KOMATSU D61PX-15 Buldozer "D-61" series. Spare Parts Catalog. Service (workshop) Manual. Operator's Instruction Manual. 4150547 D61PX-15E0 KOMATSU D61PX-15E0 Buldozer "D-61" series. Spare Parts Catalog. Service (workshop) Manual. Operator's Instruction Manual. 4150548 D61PX-23 KOMATSU D61PX-23 Buldozer "D-61" series. Spare Parts Catalog. Service (workshop) Manual. Operator's Instruction Manual. 4150550 D63E-1 KOMATSU D63E-1 Buldozer "D-63" series. Spare Parts Catalog. Service (workshop) Manual. Operator's Instruction Manual. 4150551 D63E-12 KOMATSU D63E-12 Buldozer "D-63" series. Spare Parts Catalog. Service (workshop) Manual. Operator's Instruction Manual. 4150553 D65A-6 KOMATSU D65A-6 Buldozer "D-65" series. Spare Parts Catalog. Service (workshop) Manual. Operator's Instruction Manual. 4150554 D65A-7 KOMATSU D65A-7 Buldozer "D-65" series. Spare Parts Catalog. Service (workshop) Manual. Operator's Instruction Manual. 4150555 D65A-8 KOMATSU D65A-8 Buldozer "D-65" series. Spare Parts Catalog. Service (workshop) Manual. Operator's Instruction Manual. 4150556 D65A-11 KOMATSU D65A-11 Buldozer "D-65" series. Spare Parts Catalog. Service (workshop) Manual. Operator's Instruction Manual. 4150557 D65E-6 KOMATSU D65E-6 Buldozer "D-65" series. Spare Parts Catalog. Service (workshop) Manual. Operator's Instruction Manual. 4150558 D65E-7 KOMATSU D65E-7 Buldozer "D-65" series. Spare Parts Catalog. Service (workshop) Manual. Operator's Instruction Manual. 4150559 D65E-8 KOMATSU D65E-8 Buldozer "D-65" series. Spare Parts Catalog. Service (workshop) Manual. Operator's Instruction Manual. 4150560 D65E-12 KOMATSU D65E-12 Buldozer "D-65" series. Spare Parts Catalog. Service (workshop) Manual. Operator's Instruction Manual. 4150561 D65EX-12 KOMATSU D65EX-12 Buldozer "D-65" series. Spare Parts Catalog. Service (workshop) Manual. Operator's Instruction Manual. 4150562 D65EX-12U KOMATSU D65EX-12U Buldozer "D-65" series. Spare Parts Catalog. Service (workshop) Manual. Operator's Instruction Manual. 4150563 D65EX-15 KOMATSU D65EX-15 Buldozer "D-65" series. Spare Parts Catalog. Service (workshop) Manual. Operator's Instruction Manual. 4150564 D65EX-15E0 KOMATSU D65EX-15E0 Buldozer "D-65" series. Spare Parts Catalog. Service (workshop) Manual. Operator's Instruction Manual. 4150565 D65EX-16 KOMATSU D65EX-16 Buldozer "D-65" series. Spare Parts Catalog. Service (workshop) Manual. Operator's Instruction Manual. 4150566 D65EX-17 KOMATSU D65EX-17 Buldozer "D-65" series. Spare Parts Catalog. Service (workshop) Manual. Operator's Instruction Manual. 4150567 D65P-6 KOMATSU D65P-6 Buldozer "D-65" series. Spare Parts Catalog. Service (workshop) Manual. Operator's Instruction Manual. 4150568 D65P-7 KOMATSU D65P-7 Buldozer "D-65" series. Spare Parts Catalog. Service (workshop) Manual. Operator's Instruction Manual. 4150569 D65P-8 KOMATSU D65P-8 Buldozer "D-65" series. Spare Parts Catalog. Service (workshop) Manual. Operator's Instruction Manual. 4150570 D65P-11 KOMATSU D65P-11 Buldozer "D-65" series. Spare Parts Catalog. Service (workshop) Manual. Operator's Instruction Manual. 4150571 D65P-12 KOMATSU D65P-12 Buldozer "D-65" series. Spare Parts Catalog. Service (workshop) Manual. Operator's Instruction Manual. 4150572 D65P-12-E KOMATSU D65P-12-E Buldozer "D-65" series. Spare Parts Catalog. Service (workshop) Manual. Operator's Instruction Manual. 4150573 D65PX-12 KOMATSU D65PX-12 Buldozer "D-65" series. Spare Parts Catalog. Service (workshop) Manual. Operator's Instruction Manual. 4150574 D65PX-12U KOMATSU D65PX-12U Buldozer "D-65" series. Spare Parts Catalog. Service (workshop) Manual. Operator's Instruction Manual. 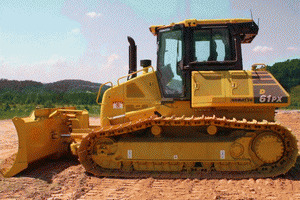 4150575 D65PX-15 KOMATSU D65PX-15 Buldozer "D-65" series. Spare Parts Catalog. Service (workshop) Manual. Operator's Instruction Manual. 4150576 D65PX-15 Tier3 KOMATSU D65PX-15 Tier3 Buldozer "D-65" series. Spare Parts Catalog. Service (workshop) Manual. Operator's Instruction Manual. 4150577 D65PX-15E0 KOMATSU D65PX-15E0 Buldozer "D-65" series. Spare Parts Catalog. Service (workshop) Manual. Operator's Instruction Manual. 4150578 D65PX-16 KOMATSU D65PX-16 Buldozer "D-65" series. Spare Parts Catalog. Service (workshop) Manual. Operator's Instruction Manual. 4150579 D65PX-17 KOMATSU D65PX-17 Buldozer "D-65" series. Spare Parts Catalog. Service (workshop) Manual. Operator's Instruction Manual. 4150580 D65WX-15 KOMATSU D65WX-15 Buldozer "D-65" series. Spare Parts Catalog. Service (workshop) Manual. Operator's Instruction Manual. 4150581 D65WX-15 Tier3 KOMATSU D65WX-15 Tier3 Buldozer "D-65" series. Spare Parts Catalog. Service (workshop) Manual. Operator's Instruction Manual. 4150582 D65WX-15E0 KOMATSU D65WX-15E0 Buldozer "D-65" series. Spare Parts Catalog. Service (workshop) Manual. Operator's Instruction Manual. 4150583 D65WX-16 KOMATSU D65WX-16 Buldozer "D-65" series. Spare Parts Catalog. Service (workshop) Manual. Operator's Instruction Manual. 4150584 D65WX-17 KOMATSU D65WX-17 Buldozer "D-65" series. Spare Parts Catalog. Service (workshop) Manual. Operator's Instruction Manual. 4150586 D66S-1 KOMATSU D66S-1 Buldozer "D-66" series. Spare Parts Catalog. Service (workshop) Manual. Operator's Instruction Manual. 4150588 D68E-1 KOMATSU D68E-1 Buldozer "D-68" series. Spare Parts Catalog. Service (workshop) Manual. Operator's Instruction Manual. 4150589 D68ESS-12 KOMATSU D68ESS-12 Buldozer "D-68" series. Spare Parts Catalog. Service (workshop) Manual. Operator's Instruction Manual. 4150590 D68P-1 KOMATSU D68P-1 Buldozer "D-68" series. Spare Parts Catalog. Service (workshop) Manual. Operator's Instruction Manual. 4150592 D70LE KOMATSU D70LE Buldozer "D-70" series. Spare Parts Catalog. Service (workshop) Manual. Operator's Instruction Manual. 4150593 D70LE-12 KOMATSU D70LE-12 Buldozer "D-70" series. Spare Parts Catalog. Service (workshop) Manual. Operator's Instruction Manual. 4150594 D70LE-8 KOMATSU D70LE-8 Buldozer "D-70" series. Spare Parts Catalog. Service (workshop) Manual. Operator's Instruction Manual. 4150596 D75A-1 KOMATSU D75A-1 Buldozer "D-75" series. Spare Parts Catalog. Service (workshop) Manual. Operator's Instruction Manual. 4150597 D75S-5 KOMATSU D75S-5 Buldozer "D-75" series. Spare Parts Catalog. Service (workshop) Manual. Operator's Instruction Manual.